In the last episode of the programme, PM Narendra Modi highlighted the significance of sports. PM Narendra Modi's Mann Ki baat will be broadcast on multiple platforms today. 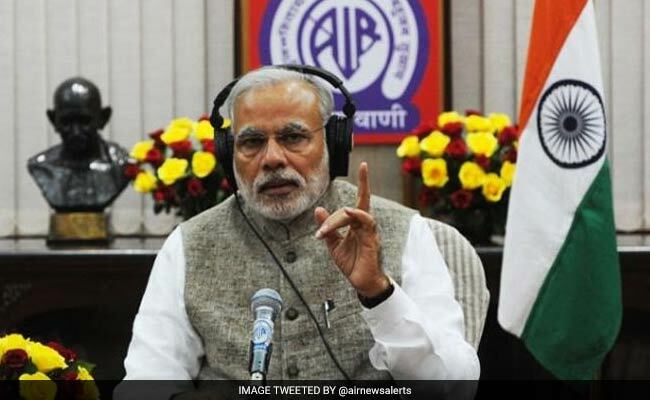 New Delhi: Prime Minister Narendra Modi will deliver his Mann ki Baat to the entire nation in the 36th edition of his monthly radio address today. For those planning to watch or hear the show, read on to know how. In today's program PM Modi is likely to speak on a range of issues. This edition of Mann Ki Baat will most likely be a special edition as the programme is all set to complete 3 years of its existence. Mann Ki Baat will be broadcast on the entire network of All India Radio and Doordarshan at 11 AM. The programme will be streamed on the YouTube channels of the Prime Minister's Office and the Ministry of Information and Broadcasting. Q: How can I watch live broadcast of Mann ki Baat? A: The 'Mann ki Baat' will be webcast live on NDTV.com. The monthly programme will also be telecast on public broadcaster Doordarshan and can be heard on All India Radio as well. Q: What are the timings of the Mann ki Baat radio programme? A: The radio programme will be aired on All India Radio at 11 AM on Sunday, September 24. Q: What languages is it available in? A: Apart from the original address in Hindi, regional versions are broadcast in 18 languages and 33 dialects on the same day after the completion of the original broadcast in their respective regions. It is also broadcast in English and Sanskrit. In the last episode of the programme, PM Modi spoke about Swacch Bharat Abhiyan, how violence in the name of faith is not tolerable and how the Sports Ministry had launched a sports portal for budding sportspersons. He conveyed his best wishes to 6 officers of the Indian navy, going to circumnavigate the globe on the sailing vessel INSV Tarini. The Prime Minister also welcomed the teams coming to India for the FIFA U-17 World Cup. Prime Minister Narendra Modi also commemorated Teachers Day, which was on the 5th of September. He paid his respects to Dr Radhakrishnan, to mark the occasion of Teachers Day. The show, Mann ki Baat, seems to be quite popular among audiences across the country. It has generated revenue of nearly Rs. 10 crore for the All India Radio (AIR) in the last two fiscal years. Information and Broadcast ministry had revealed in the Parliament this year that in 2016-17, the show's revenue was to the tune of Rs. 5.19 crore, while it was Rs. 4.78 crore in 2015-16. It was launched on October 3, 2014, shortly after Narendra Modi was elected Prime Minister.